Give Your Feedback, Win a Prize: Have you gone digital? We want to hear all about it! 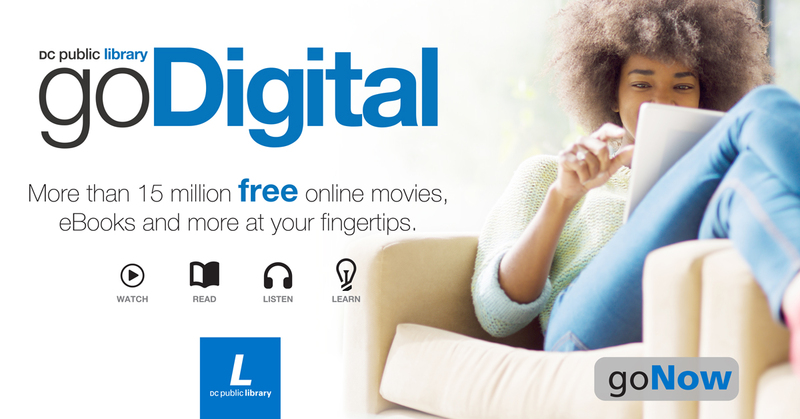 Tell us your story or experience of accessing free online eBooks, movies, music and more with your library card. Share your story on Twitter, Instagram or Facebook Nov. 1 - Dec. 31 using the hashtag #goDigitalDC to enter for a chance to win a portable speaker. If you’re up for a challenge, you can even get creative and have fun by showing us how you use goDigital resources in a photo or video. Winners will be randomly selected and notified by Jan. 7, 2019.